- Recently I was able to read some very intriguing and quirky news about Somaliland, and as is my fashion, I thought it would be good to pass that news along to my readers. The first of the stories is a brief visit that Somaliland government leaders have taken to enhance their relationship with the United Arab Emirates. The second story is news that one of Somaliland’s most notable poets has had the honor of his work being translated into English for greater accessibility. Let us now discuss these stories in turn. Some time ago, this blog discussed the entrance of the United Arab Emirates into Somaliland’s affairs over shared concerns about piracy . There was recently an update from Somaliland247  on a recent visit by two of Somaliland’s ministers (including the minister of foreign affairs) to Dubai to enhance relations with the United Arab Emirates. Such behavior, of course, is fairly typical for most states to engage in shuttle diplomacy and periodic visits with regional allies, but as Somaliland is a nation which still struggles to find recognition from the world, and is correspondingly more isolated from global affairs, any foreign meeting with the intent of solidifying economic and bilateral political relations is news, especially as the meeting included representatives from both the public and private sector of the UAE, including maritime interests. Somaliland, of course, sits on the southern edge of the Gulf of Aden, and is massively important territory involved closely in efforts against piracy from neighboring Puntland as well as the usefulness of developing the strategic port of Berbera. Any news that would indicate an increase in Somaliland’s international profile, especially as Somalia attempts to develop its own government and wrestle with the legitimacy of Somaliland’s desires for independence, is news of interest in a very vulnerable and dangerous part of the world. Hopefully there will be further reports of plans to further help Somaliland develop its potential as well as help overcome its isolation. Some readers of Edge Induced Cohesion will be aware of my interests in poetry and playwriting and in the way my own writings have dealt with romance as well as politics. 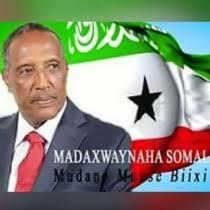 Given these interests, it was rewarding to read a report that the Somaliland poet Maxamed Ibraahim Warsame Hadraawi will be awarded the prestigious Prince Claus Award in the Netherlands for his contribution to the field of poetry . The Somali people as a whole have a notable gift of long epic poetry, and Hadraawi is widely recognized as the most significant living Somali poet with a wide variety of works dealing with nomadic Somali life, love and romance, and the problems of Somali politics. Hadraawi’s life has been dramatic and full of incident. After achieving initial fame as a young poet writing romantic poems, his turn into political playwriting landed him a five-year jail sentence in the 1970′s. He then started (with some associates) a long chain poem called The Deeley which involved Somali poets in a massive political poetry duel (!) that divided the artistic community of Somalia into pro- and anti-government factions. His political activities took him to Ethiopia, where he continued writing political poetry, and he even spent five years in exile in London where he refused to seek asylum and settle there and where he wrote more poetry expressing his deep appreciation for nomadic culture and Somali life as a whole, despite his suffering. He returned to Somalia and engaged in a lengthy one-man peace march that inspired a great deal of support, and has remained active in writing against the addiction of Somali men to khat/qaat, the stimulant that has fueled a great deal of Somali piracy and added more misery to a pretty miserable section of the world. He now lives and teaches in his Somaliland hometown of Burao, where he inspires others to follow his example of principled and poetry. Now that some of his poems have been translated into English, a wider audience can appreciate his works and his life. This sounds like a man I would like to eat with and talk with, given our shared semi-nomadic ways, our love of poetry and drama, and our unfortunate and passionate interests in peace and justice as well as education. His recognition as a master poet in a culture that especially values and appreciates poetry demonstrates the vitality of Somali culture even given its extreme suffering. Hopefully his work can continue to inspire his people and encourage them to greater deeds as well as moral conduct in overcoming drug addiction and despair.